The new Group Managing Director/Chief Executive Officer of Skye Bank Plc, Mr. TokunboAbiru, has affirmed the Central Bank of Nigeria’s (CBN) statement that Skye remains healthy and strong. TokunboAbiruAbiru, who spoke after taking over from his predecessor, Mr. Timothy Oguntayo, in a statement, said the bank’s fundamentals remain strong and virile, assuring customers and other stakeholders of the safety of their funds and investments. The new Skye Bank boss said his team would leverage on the bank’s reputable information technology platform to make the bank not just a frontline retail and commercial bank, but also an industry leader. 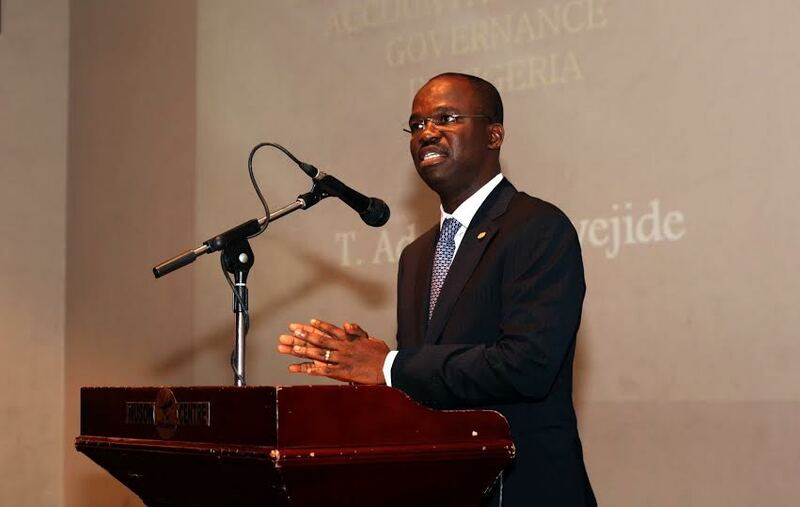 Abiru, who outlined his vision for the bank, said his team would harness the expertise and skill sets of the bank’s employees and the reconstituted board to take the bank to new and higher heights. He noted that being a Systematically Important Bank (SIB), Skye Bank occupies a sensitive role in the financial life of Nigerians and West Africa. The CBN had on Monday approved the reconstitution of the Board of Skye Bank Plc., with the apex bank appointing Mr M.K. Ahmad and Mr. TokunboAbiru as the new Chairman and Managing Director of the bank respectively. Other members of the reconstituted board are BayoSanni, Idris Yakubu, Markie Idowu and AbimbolaIzu, all of whom were serving in the Executive Director capacity before now. The reconstitution of the Board followed the voluntary resignation of the former Chairman, Dr. Tunde Ayeni and other Non – Executive Directors of the Bank, namely, Mr. Victor Odozi, Mr. BabajideAgbabiaka, Dr. Jason Fadeyi, Mr. KunleAluko, Mr. Victor Adenigbagbe, Mr. Abdul Bello and HajiyaAmunnaLawan Ali. In the same vein, Mr. Timothy Oguntayo resigned his position as Group Managing Director / CEO, alongside Mrs. AmakaOnwughalu, Mr. DotunAdeniyi and Mrs. IbiyeEkong who resigned their positions as DMD, and Executive Directors. All the resignations take immediate effect. The former leadership of the Bank voluntarily resigned their positions in order to pave the way for a new team to further the new strategic direction of the Bank in the retail and commercial business space. In this wise, the challenge of accelerating growth in the new strategic direction becomes more urgent and compelling, given the economic challenges in the global and domestic operating environment, and the attendant challenges.